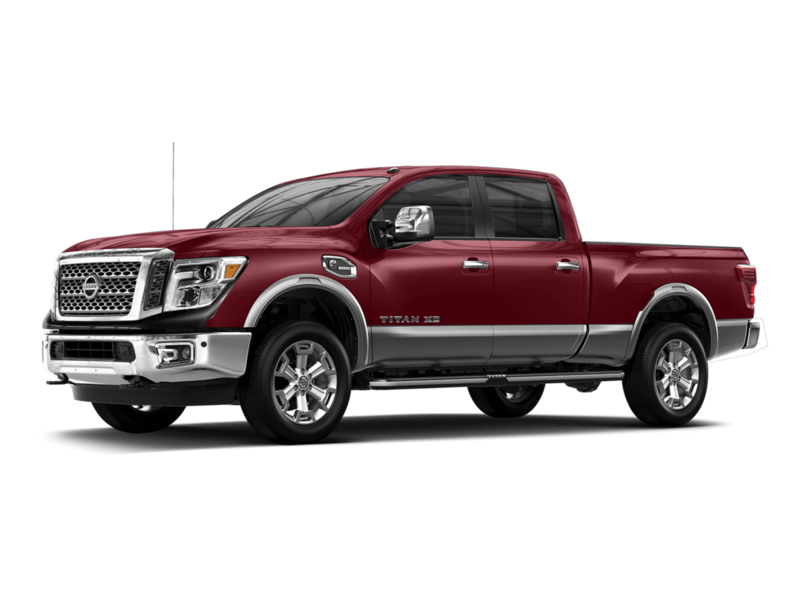 Sorg Nissan Introduces You to the 2016 Nissan Titan XD! Sorg Nissan invites drivers from across the region to explore the new 2016 Nissan Titan XD truck, which not only packs a powerful punch when it comes to performance but also boasts ample space in the cabin and room in the truck bed, a wide selection of technologies designed to keep you entertained, informed, and connected on drives both long and short, and an array of safety devices and systems designed to ensure that you and your passengers remain protected on the open road. For one thing, the Nissan Titan XD runs on a massively powerful engine that grinds out epic amounts of horsepower while also guaranteeing drivers impressively high rates of fuel efficiency, but this truck also comes decked out with a bevy of driver assist features that make your drive smoother, safer, and more controlled than ever. 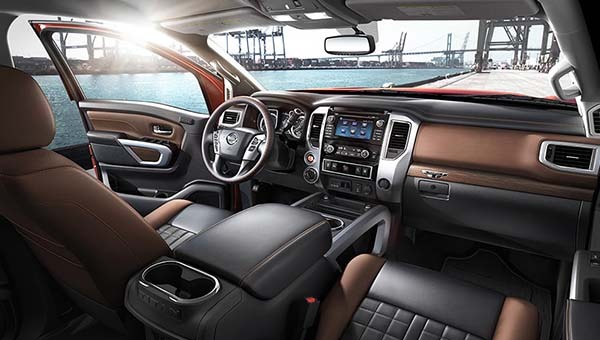 Likewise, the 2016 Nissan Titan XD also comes equipped with a number of interior perks, from exciting technologies to keep you engaged to amenities designed to amp up your comfort and ensure the greatest degree of luxury possible in a high-performing truck. 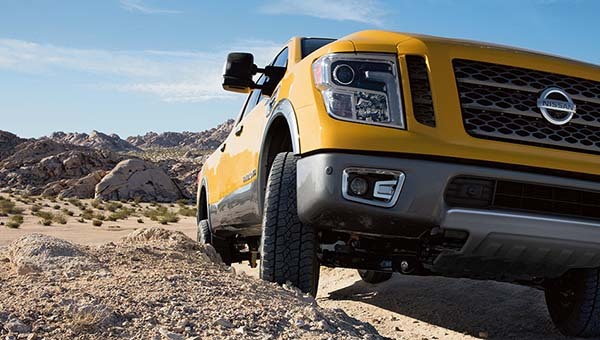 Likewise, the Nissan Titan XD distinguishes itself among the automotive competition with a collection of advanced safety devices meant to keep you secure in the event of a collision, stable on the road, and able to check your truck’s vital stats with no trouble whatsoever. Now, let’s take a look at this truck in a bit more detail. First of all, there’s the Nissan Titan XD truck’s impressive performance capabilities. 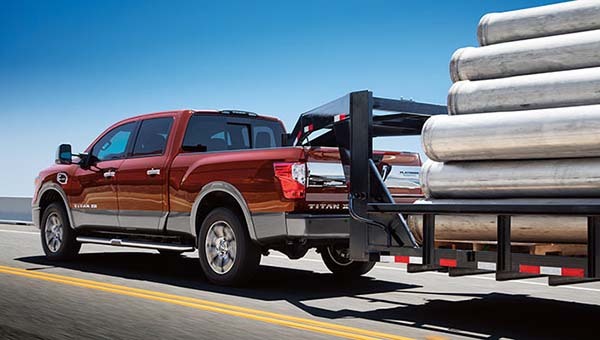 From a choice of powerful engines, to high rates of efficiency, to epic towing power, to a raft of driver assist programs, the Nissan Titan XD is designed to transform your drive into an unforgettable experience. Indeed, so distinguished is this truck when it comes to performance that it’s difficult to know where to begin in enumerating its many strengths. But here’s a start. First thing’s first: engine power. No matter the trim you pick, your Nissan Titan XD is going to come with one of two mightily powerful engines. On the one hand, you can opt for an Endurance 5.6L 32-Valve V8 engine that can churn out an unbelievable 390 hp while also ensuring equally impressive levels of torque. Not only does the Endurance give you Direct Injection with Variable Valve Event and Lift technology, but it features 7-speed automatic transmission, and high rates of efficiency. Likewise, it enables you to tow as much as 2,500 pounds as well as a gooseneck hitch to make towing even easier. On the other hand, you can choose a Cummins 5.0L DOHC 32-Valve V8 Turbo Diesel engine that guarantees 310 hp and 555 lb-ft of torque. 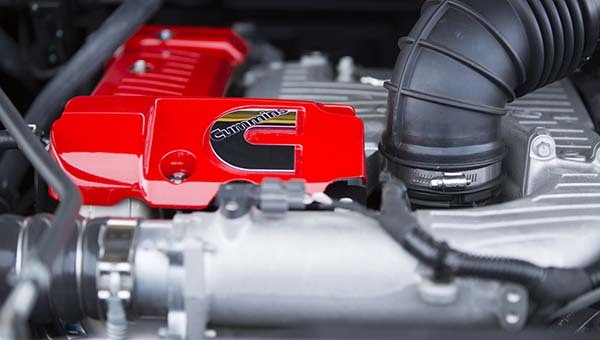 Along with with its Two-Stage Turbo capabilities and High Pressure Common Rail Fuel System, the Cummins engine also features a quieter engine, a more responsive DOHC system, a lightweight CGI block, and a clean exhaust system, which along with the engine’s other strengths, make its cleaner than ever. And here’s the big news: equipped with the Cummins engine, you’re going to be able to two as much as 12,300 pounds. Nissan’s Bilstein shocks were developed with the Nissan Titan XD in mind. 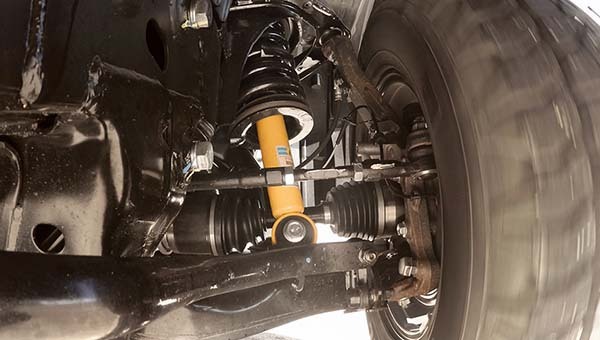 Built to enable this truck to withstand the thousands of shocks that a truck is heir to, the Bilstein Shock system is able to absorb all the bumping and jostling that you’re likely to experience while off-roading in your truck and guarantee you as smooth a ride as possible with its high-quality suspension and performance system. The Nissan Titan XD’s Front Independent double-wishbone with stabilizer bar and multi-leaf rear suspension with solid axle system is designed to ensure an even smoother drive than ever. Not only does it help guarantee your safety as you hurtle down the highway with its rugged construction, but it works in conjunction with the vehicle’s Bilstein Shocks to ensure an ever smoother drive, allowing you to face the most challenging driving conditions with confidence. Along wth the foregoing, the Nissan Titan XD also boasts a 7-Speed automatic transmission system than allows you to improve the truck’s performance and drive up its efficiency rates even more, while also giving you a wide range of choice over the experience of your drive. Finally, the Nissan Titan XD also comes with a Switch-Operated 4-Wheel Drive system that enables you to decide on a dime what sort of approach you want to take to your drive. If you’re making your way up a small mountain, just turn the switch to 4LO and the truck will switch into the appropriate gear for the ascent, but if you’ve reached the plateau, just turn the switch back to 4H for a gear more appropriate to level surfaces. But that’s just the beginning. In addition to offering drivers a choice of engines with ample horsepower, diesel and gas options, and more, the Nissan Titan XD also boasts a wide range of interior perks designed to make your drive as comfortable, entertaining, engaging, informed, and connected as you could ever imagine. 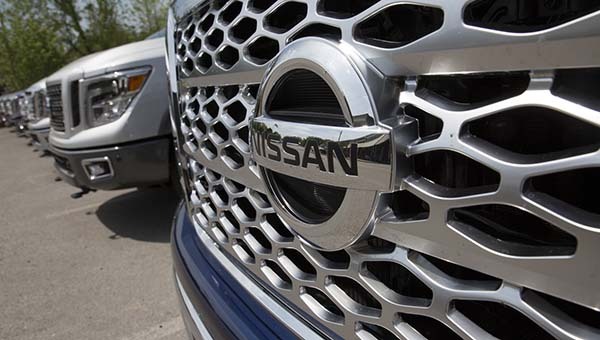 We’ll focus on just six of the numerous options you’ll have in the Nissan Titan XD. Depending on trim level (and there are lots of trims to choose from! ), the 2016 Titan XD will either provide you with seating for six or seating for five, meaning that, no matter what, you’re going to be able to fit all your family and friends into this truck on your next trip. Not only this, but the Titan XD also boasts remarkably comfortable seats. For instance, top-level trims promise you premium two-tone leather-appointed seats, as well as a front captain’s chair with a center console and climate controlled and heated front seats. 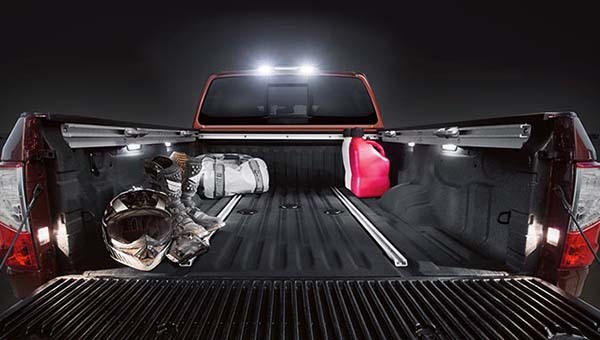 Likewise, the Nissan Titan XD gives you a good deal of versatility when it comes to deciding how to use its ample space. For example, it offers you 40/20/40-split bench front seats with flip down center seats and armrests, as well as 60/40 split fold-up rear bench seats, which work together to allow you to make the most of the cabin. 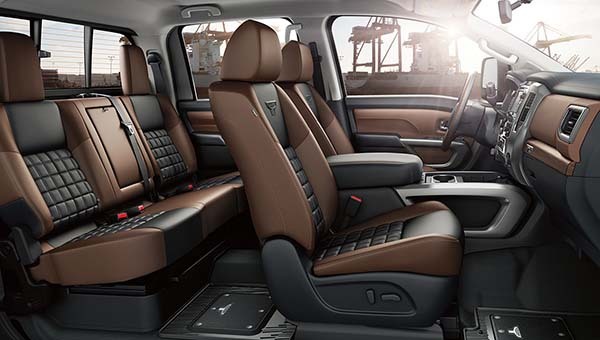 Whether you want to pack the passengers in or fold down the seats for extra cargo, the Titan will give you the room to proceed with your plans. In addition to a comfortable, luxuriously appointed cabin, the Titan XD also promises a huge amount of bed space. For example, no matter the trim, you’re going to get a bed length of 78.7 inches, a bed depth of 20.8 inches, and a maximum bed width of 61.7 inches. What this means in practice is that the Titan XD ensures you ample space for all your cargo, your gear, and anything else you need to bring to the job site or on your next vacation to the Dunes. But what about this vehicle’s technological offerings. To be sure, they’re ample. 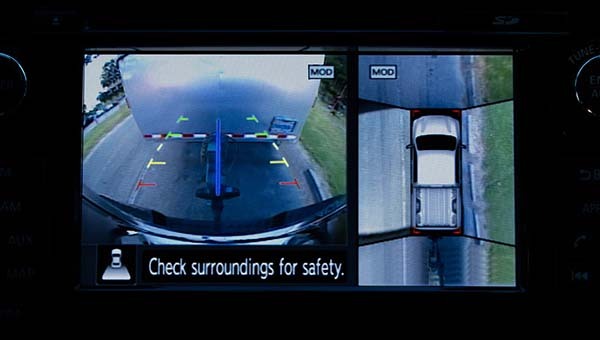 For example, the Nissan Titan XD boasts an Around View Monitor which relies on four different cameras to provide you wth a 360-degree view of the area surrounding your truck. In particular, you’ll get selectable split-screen close-ups of the front, rear, and curbside views of your truck, enabling you to spot any threats and negotiate any difficult situations on the road wth ease. 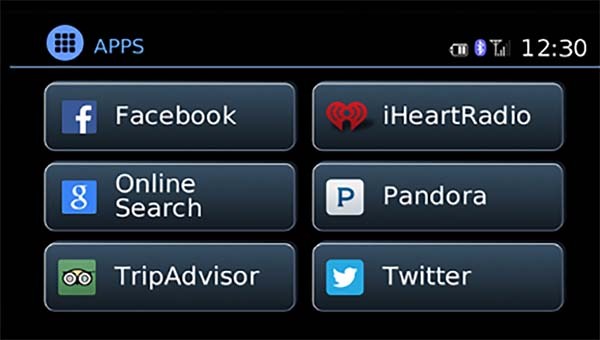 With Nissan Connect with Mobile Apps, you’ll be able to connect your smartphone directly to your Titan XD truck, giving you access to the range of music, apps, maps, and more available on your phone. 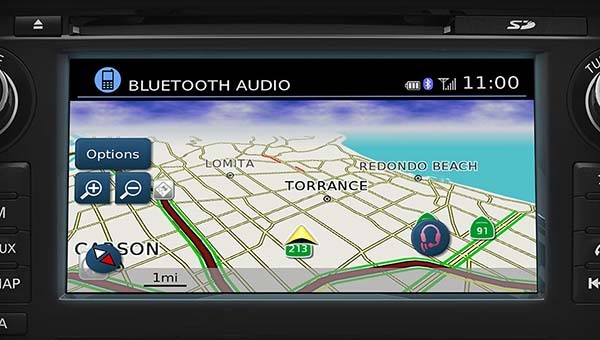 What this means is that you’re never going to have to forego the music you want to listen to on your way to your next contracting job or your next family vacation, and you can also rely on Nissan Connect to ensure access to all the navigation information you could ever hope for, simplifying your next journey significantly. Finally, the Titan XD’s Bluetooth Hands-free Phone System and Streaming Audio system allows you to place and take calls without ever taking your hands off of the driving wheel of this truck. UsingaV Voice-Recognition technology, you can command your truck to dial up a friend to arrange a pick-up time, or call a client if you’re running late. Using its loudspeaker system, the Titan XD will make sure that you can hear your caller clearly, and you can even initiate the calling process using buttons embedded on your steering wheel itself. First of all, the Titan XD truck includes a huge range of air bags that are designed to provide you with top-notch protection in the event of a collision. 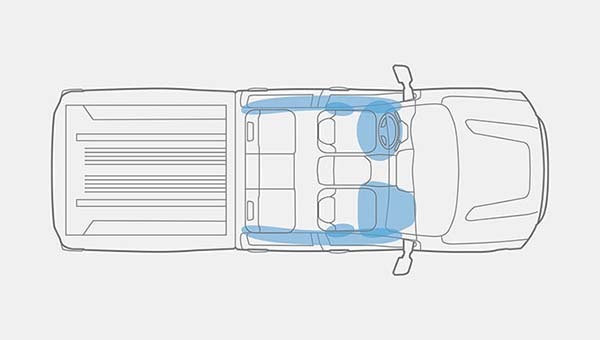 For example, this truck boasts single-stage driver and passenger supplemental front air bags that feature venting technology as well as seat belt sensors. 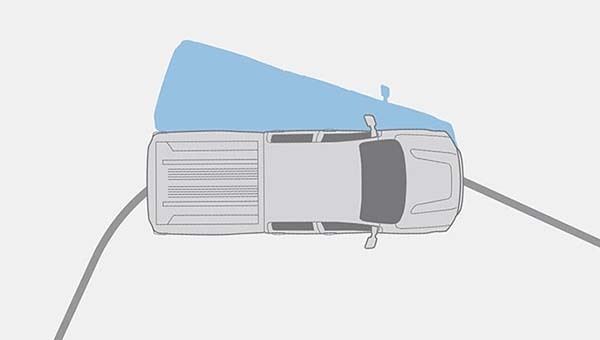 At the same time, it comes with two supplemental airbags as well as roof-mounted curtain side-impact airbags with rollover sensors that are able to activate the airbags in the event of a collision. 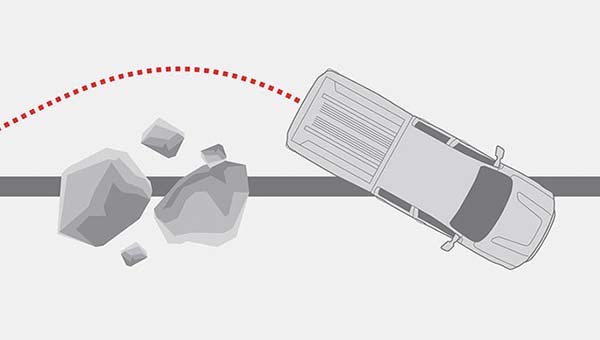 In cases where you need to apply the brakes quickly, the Titan XD’s Anti-lock Braking System works to prevent your wheels from locking up, while its Electronic Brake Force Distribution system is able to provide constant monitoring of the weight distribution in your truck and provide minute adjustments to ensure that rear braking is as balanced as possible. Likewise, the truck’s Brake Assist system can even provide maximum braking on its own in cases where it senses that such an application is necessary. 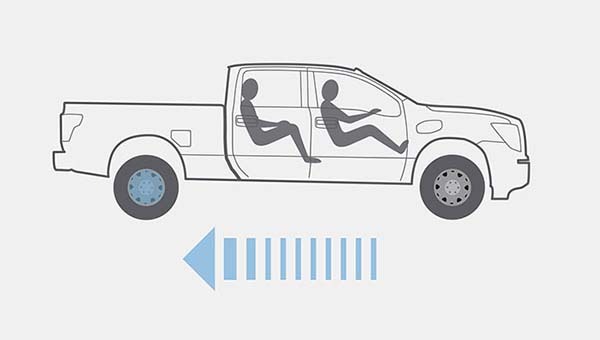 When you’re hurtling down the highway at high speeds, you want to be sure that your truck will remain stable. With Vehicle Dynamic Control with Traction Control, the Titan XD is able to sense when you may be in danger of losing control. By surveying its wheel-spin rates, for example, and determining your speed, the Titan XD can apply the brakes when necessary to slow you down and allow you to regain stability. Meanwhile, its traction control system compares the vehicle’s actual performance to the driver’s input in order to help correct oversteering and understeering. 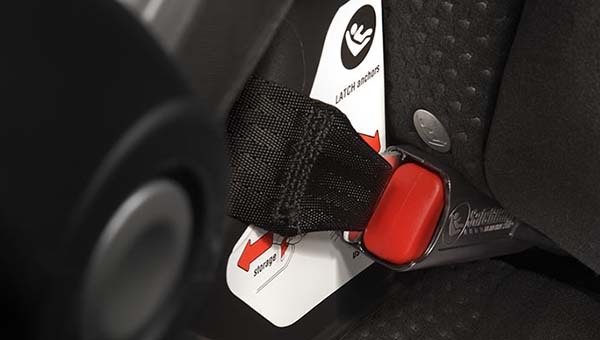 In addition to all this, the Titan XD proves that it’s a family-friendly truck with its LATCH system (Lower Anchors and Tethers for Children), which provides you with a way to attach LATCH-compatible child restraints in the second row with even having to rely on seat belts or locking clips. In the unlikely event of a collision, the Titan XD is well-equipped to handle threats to passenger safety with its Zone Body Construction with front and rear crumple zone technology. The Titan XD’s crumple zones are able to absorb the impact of a crash and redirect force away from passengers, while its reinforced steel-frame structure helps ensure safety within the cabin. 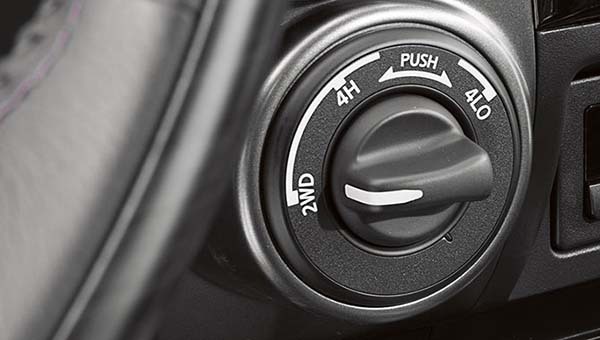 One among very many stellar safety systems offered by the Titan XD, Tire Pressure Monitoring allows you to determine the air pressure in your tires without even having to get out of the truck’s cabin. 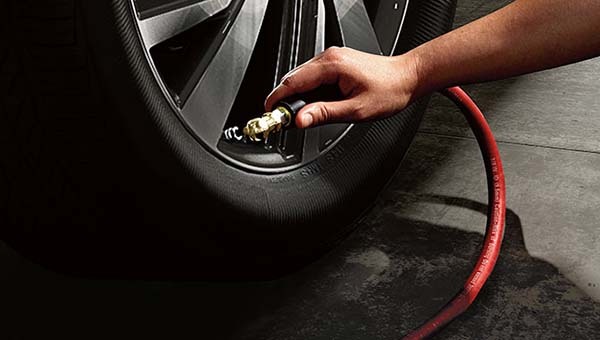 Simply take a look at the Monitor whenever you’re in doubt about your tires’ situation, and you’ll be able to decide whether or not it’s time to stop at the gas station for an air refill.